You have an excellent opportunity to express your personality through the front door of your home. More so, it can even be the focal point for attracting neighbors eyes. The front door can tell you a lot about your residence and about the people who live inside. So when it comes to choosing the model for your home, think calmly and do a reasonable search. 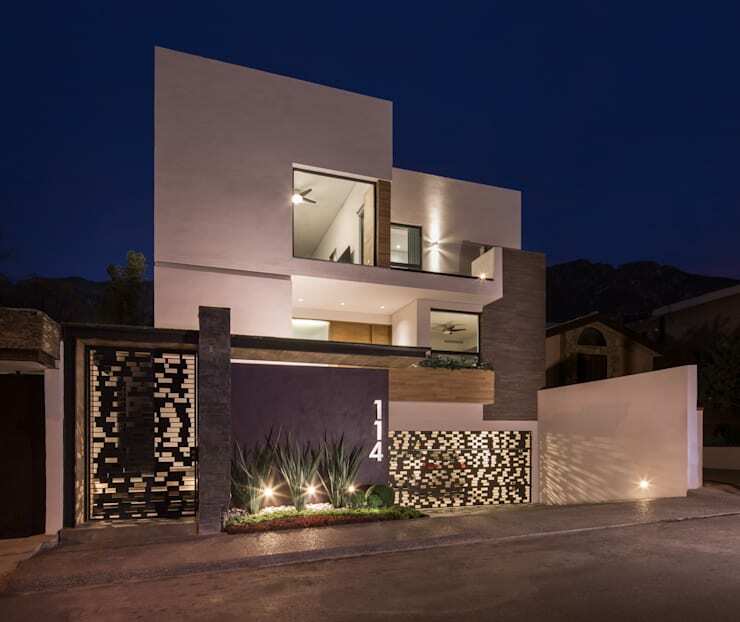 To help you, Homify has brought together in this ideabook 15 models that can be a great source of inspiration for renovating the entrance of your home. Wooden doors are still favorites. They are safe and resilient especially if the weather is appropriate and given the continual maintenance required. This design is fascinating thanks to the game made with the glasses that frame the door. 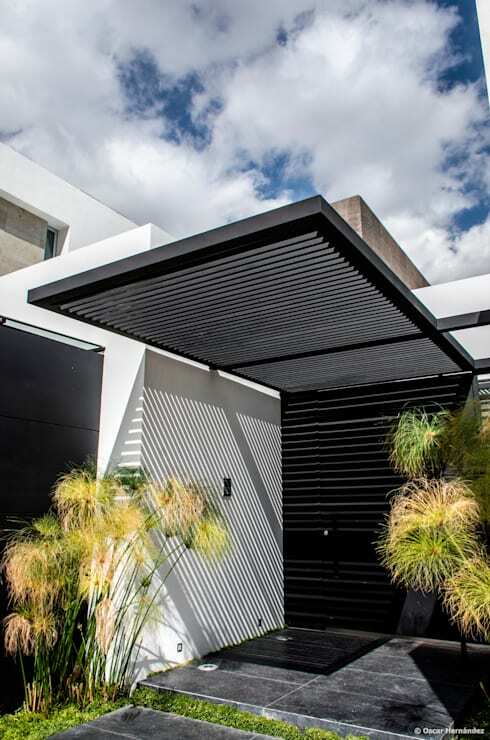 In this project, the latticed gate provides security between the front door and the street. These light filters make the house stay bright and leave the temperature comfortable. 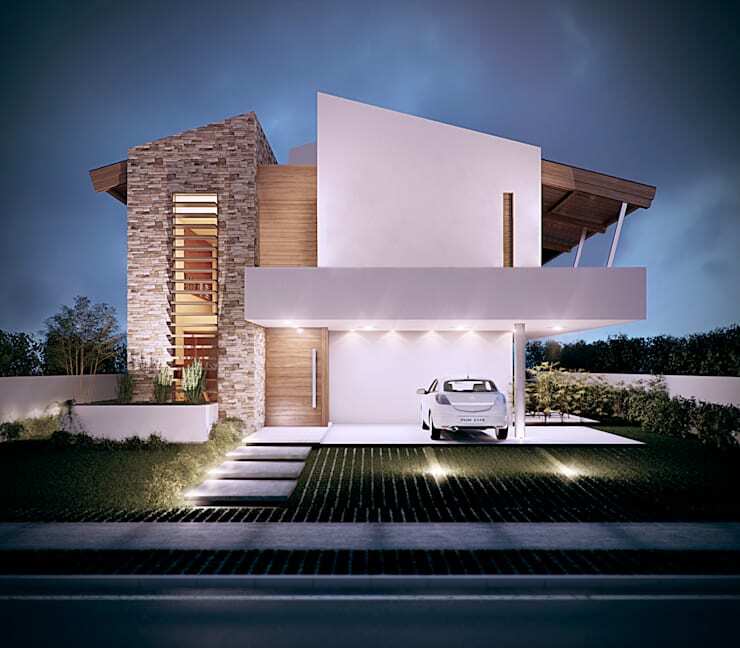 The combination of metals, stone, and vegetation leaves the house very charming. 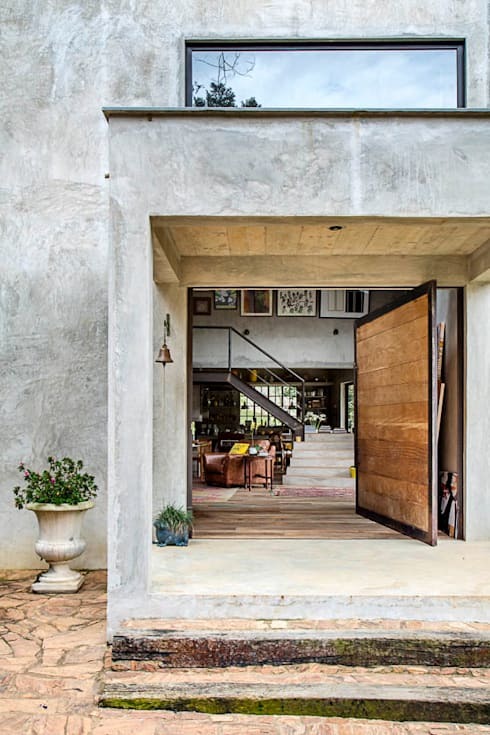 The lightness of the glass door of the house blends perfectly with stone, wood, and metal giving all the elements a unique personality. 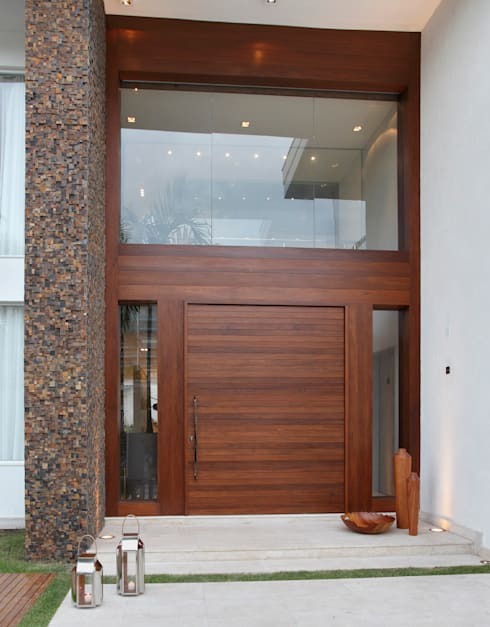 This entrance door reaches a triple height and makes the house look majestic. 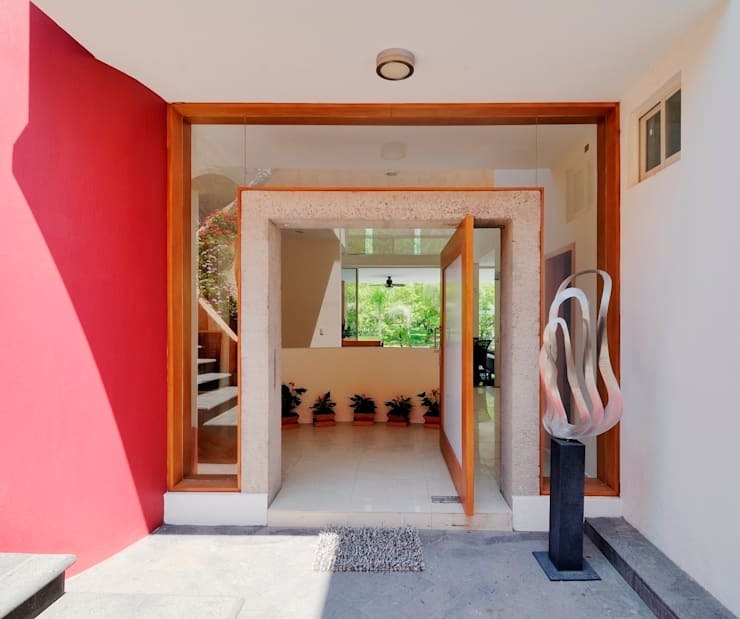 The white volume where we find the access to the residence has a simple but elegant wooden door which contributes to the natural combination of materials. Steel is stronger than fiberglass or wood, so it offers the best security. However, it does not hide the passage of time like a wooden or glass door. Steel doors are the best way to prevent strangers from entering our house because they are equipped with high-quality locks and bars. 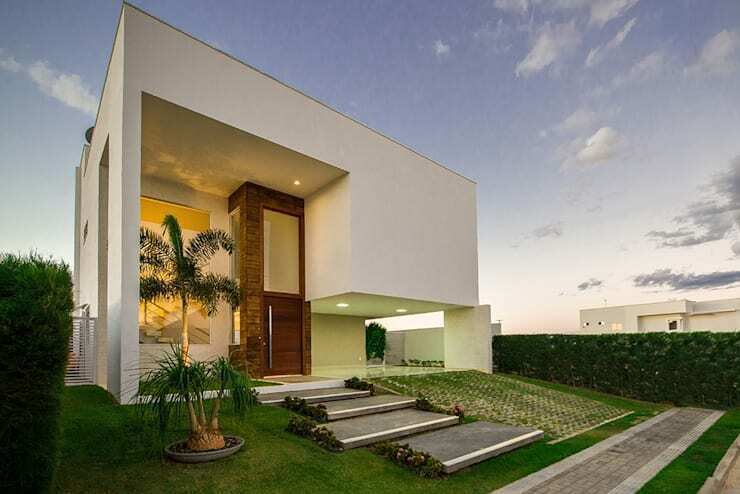 In the image of this house, we can see how the neutral tones allow the door to become the protagonist of the space. 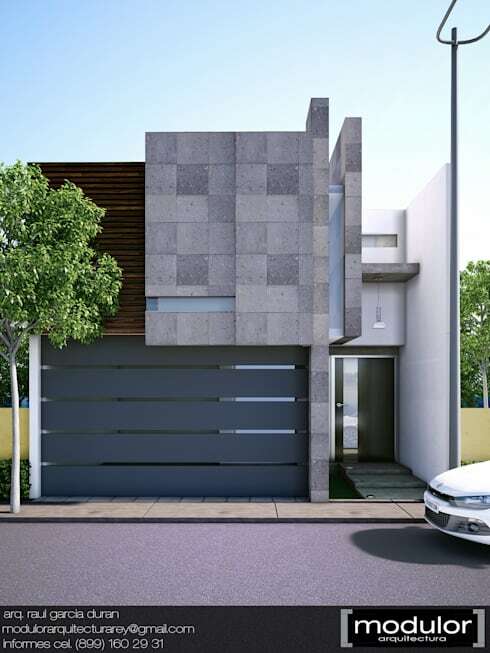 It is accompanied by a small pleasant front garden that helps to highlight the natural beauty of the project. Here you can also play with the contrast of materials that convey warmth and comfort. 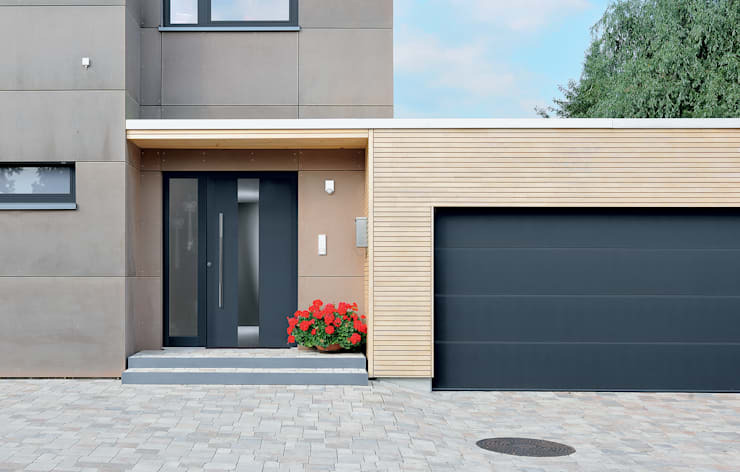 Wood offers many advantages when designing a door like different colors, models, and types that can meet our needs and budgets. Better yet, they can still be made in custom sizes. 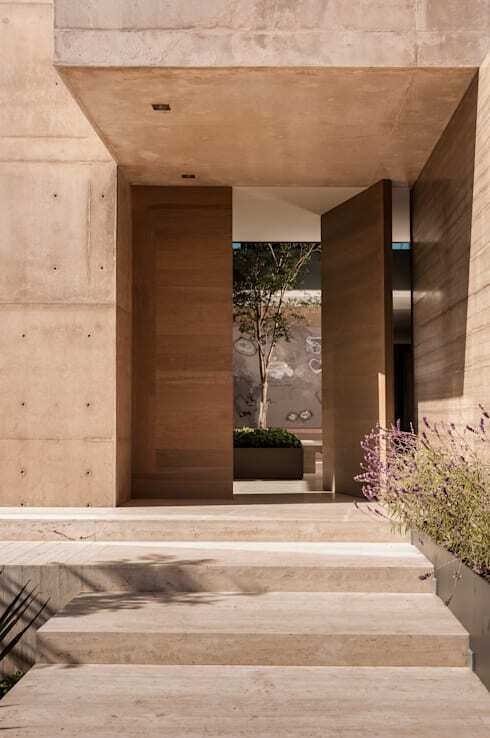 In another design, where concrete is presented as the primary material, this double door breaks with its hardness offering a warm welcome. The force that conveys this door is exceptional. The glass seems to support the massive volume that serves as a cover for the home. For added safety, frosted glass is the best choice because it protects the privacy of the interior. This door is exceptionally unique and spectacular. Also, the long way to get on it increases this entry even more authentic. The setting is full of textures and contrasts like the frame of light that forms in the outline of the metal door. In another example of the alliance between wood and concrete, we have this project where wood is presented in its natural state. This is an industrial design, where the natural wood door can have an even more daring effect. The glass doors are ideal for getting more light into the house and maintaining eye contact with the exterior. 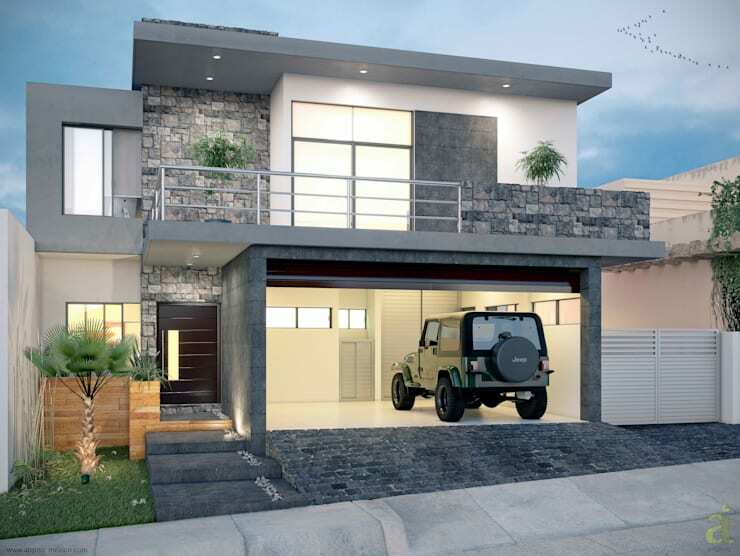 It also integrates the inside with the outside of the dwelling. Due to its transparency and lightness, the glass gives the illusion of larger spaces. The vibrant color of the red door created a dramatic and sensational setting at the entrance of this house. 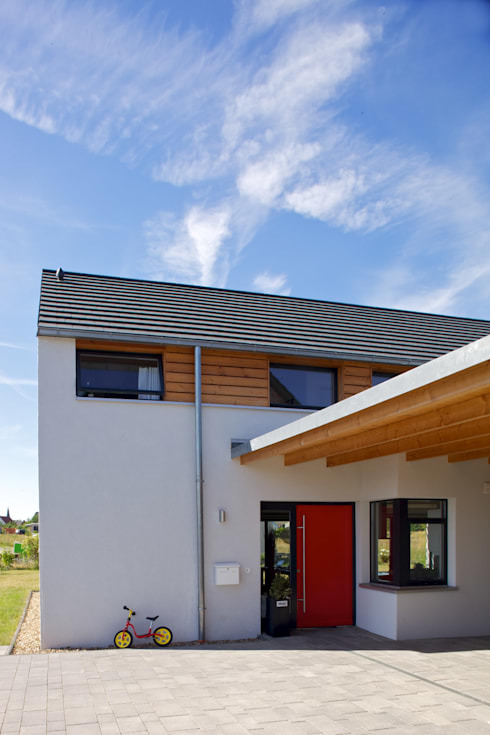 The contrast with the rest of the facade and the wooden beamed ceiling bring a sense of warmth. There are a variety of items that can make the door and entrance of your home a success. Among them is the path or staircase leading to the front door. To leave the environment more natural, you can give a colorful touch of flowers. In this example, the contrast between wood, dark metal and glass achieves a refined and elegant combination. 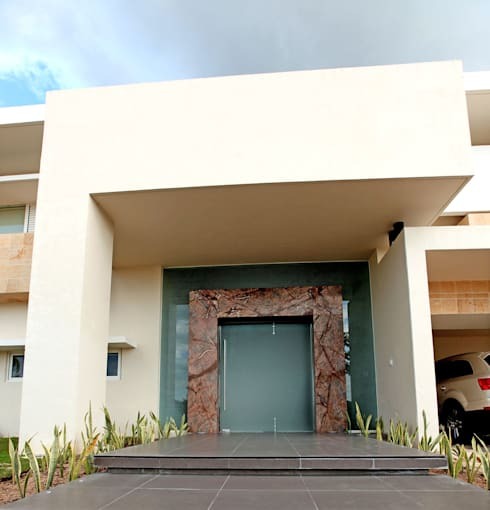 The front door of the house is an essential element in architecture and design. But above all, it should provide security. So when it's time to choose this item for your home, you should consider aesthetics, but also keep an eye on your endurance. This beautiful wooden door seems to have been built into the stone walls, and the feeling is that it is floating. The frosted glass detail adds a unique touch, which along with the door break the hardness of the overall architecture. 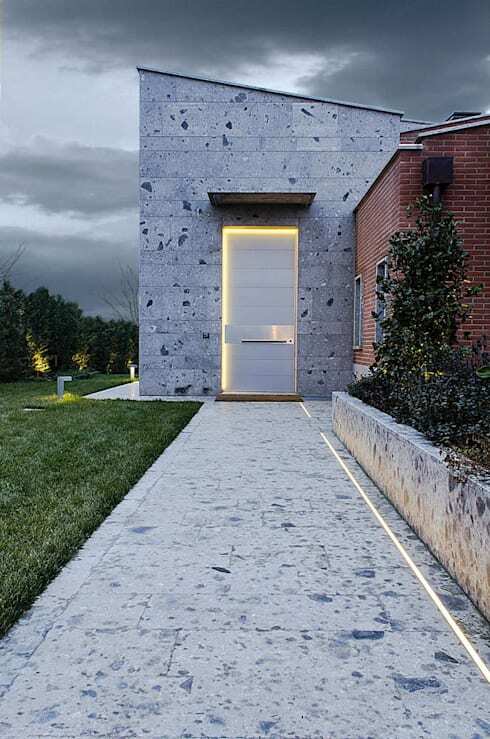 How would you like to keep the entrance door of your house?